Working partnership with parents/carers is essential to our practice in the St Anne's Nursery. Parents/Carers can now find our weekly parent information sheet, which is also displayed on our classroom door here on our Class News Page. Thank you to all the parents/carers who joined us for our Parent Workshop and Stay & Play Sessions. Please take a look at the notes from this session and we do welcome your thoughts and ideas for subjects to cover in future sessions. Nursery have been learning about numbers. We had lots of fun counting carefully and exploring numerals in our play. What can you find to count at home? Nursery have been learning about Remembrance Day. We kept a minutes silence to remember the soldiers who had fought for us. We visited the church to see the handprint poppies we had made on display. 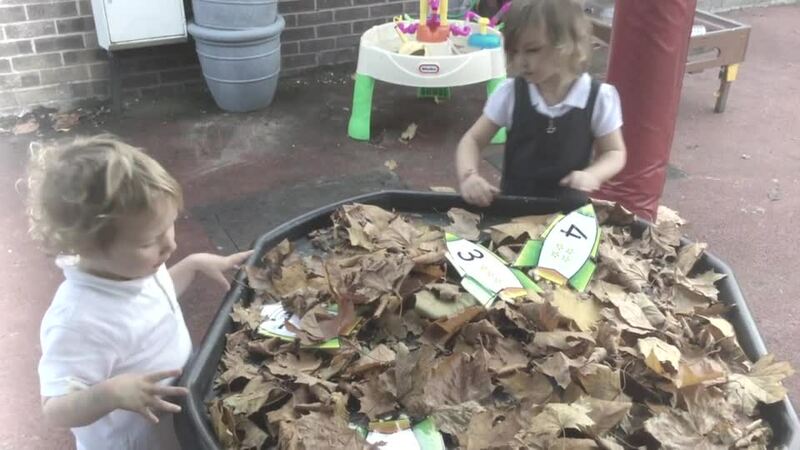 Nursery have enjoyed developing their learning outside. They had lots of fun making meals in the mud kitchen and making a water park with various water utensils.